Here’s how to have our sample libraries load automatically when you start Kronos. For maximum flexibility, best to keep your KSC files separate and enable/disable each KSC on the Auto-Load page as desired. Just follow these three simple steps. 1- After you download and save our files to your external hard drive, find the Kid Nepro Kronos folder and copy it to your Kronos Internal Hard Drive. To do that, choose the folder and go to “Utility/Copy”. Change the Drive Select to “Internal HD”, then choose “Paste”. 2- Go to Disk/Load. Find the Kid Nepro folder, choose open and choose the Kid Nepro User Bank KSC. Load the User Bank KSC into memory. 3- Go to Global/KSC Auto Load. The newly loaded KSC will already have been added to the list automatically. Enable the Auto-Load checkbox for the KSC. Everything should now load when your start Kronos. You can check it by choosing “Do Auto Load Now” without having to restart. Remember to check the box next to each file that you would like to load at start up. Note that the Preload Data KSC file must be loaded during start up since many of our sounds require that the factory drum samples be loaded during start up. 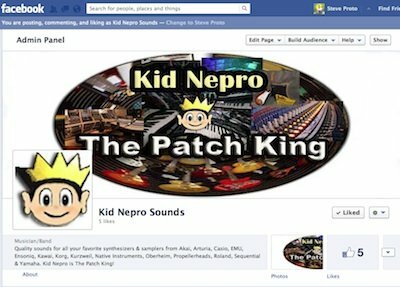 Well, since the world did not end today, I figured it would be a good time to set up a Kid Nepro Facebook page. Head on over, like us and keep updated on all the latest developments, sound sales and any other cool events that may be coming down the road. Click Here To Enter Our Facebook Page & Welcome Aboard!! Korg Kronos Volume #5 – Dark Energy – Our first collection of sounds for the MS-20 & Polysix Synth Engines is now available! An amazing assortment of fully KARMA-fied Programs & Combis with a hard edge, in your face, aggressive analog synth sounds. Only $39. USD. Pump Up Your Kronos with Dark Energy!! The new sound library includes a wide assortment of classic analog synth sounds for the Kronos MS-20 & Polysix synth engines. A new take on all the sounds that these two vintage synths are capable of, along with a great new mix of modern 21st century patches that’s guaranteed to spice up your Kronos and give you some new ideas for your next track. Amazing new analog basses, leads, pads, super synths and cool rhythms using the Polysix arpeggiator and Kronos step sequencer plus much more. For more info and demos “CLICK HERE”. 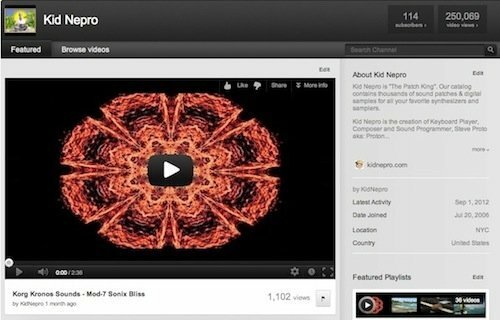 Well, it took six years, but the Kid Nepro YouTube channel has reached the quarter million views mark! I know in this age of viral videos many people see this happen in just one day, but for me it’s good to see the slow and steady progress that our channel has made since going live in 2006. Thanks to all who have checked out our videos, left nice comments and hit the “like” button – which seems to be more often then not. Hopefully the next 250,000 hits won’t take as long! Buy in bulk and save big time. 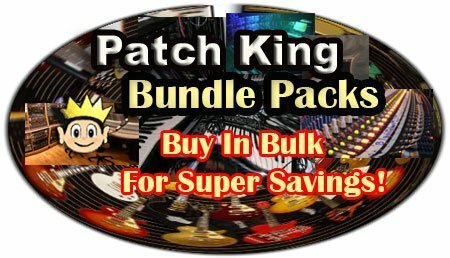 Just click on the links below and check out all our big Bundle Packs deals! Arturia V Collection – Vols 1-5 $100. 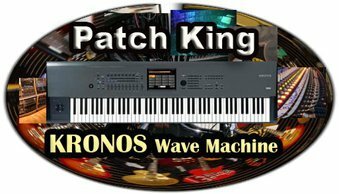 Korg Kronos – Vols 1-4 $175. Korg M3 – Vols 1-5 $175. Korg Triton – Vols 1-12 $150. Korg Trinity & TR Rack – Vols 1-4 $85. 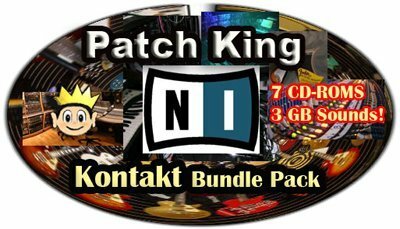 Native Instruments Kontakt Sound Library – 7 CD Bundle $100. WAV File Collection – 9 CD Bundle Pack $150. Roland JV/XP Series – Vols 1-10 $125. Roland MKS80 Super Jupiter – Vols 1-3 $60. Yamaha Motif Series – Vols 1-5 $100. If you already own any of our sounds in the above libraries you can update to the Bundle Pack at a discount rate. Contact us for details via phone or e-mail. Please visit our home page for complete info on all our products. The Ultimate Refill bundle pack contains “8 Great Refills” combined into one! It includes our complete Drum & Bass, Killer Keyboards, Vintage Synthesizers 1 & 2, SP1200 Library, Electric Guitars, Wave Machine and Midi Mix Collection all in one package. Available as a Digital Download for the super low price of only $100. USD. Over 3 GB of new samples with thousands of amazing sounds includes the best from our most popular sound collections. Over 100 new drum kits will have you creating killer beats in no time. And, Hundreds of New REX Loops with incredible beats that will jump start your tracks. Killer Keyboards, Unique Analog & Digital Synths and an all around great mix of new samples. 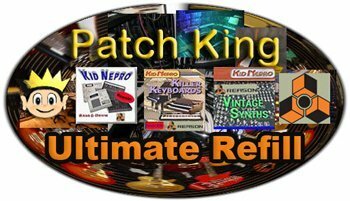 The Patch King Ultimate Refill is an amazing sound library with everything you will need for your next gig or studio session. All set up as Reason programs. No key mapping is needed. Just load and play! If you already own any of our Reason Refills you can update to the Ultimate Refill for a discount rate. Please contact us for details. Korg Kronos Volume #4 – Sonix Bliss – Our first collection of sounds for the Mod-7 Synth Engine is now available! An amazing assortment of fully KARMA-fied Programs & Combis perfect for Producers and Keyboard Players looking for some great FM synth sounds to add to their Kronos. Only $40. USD. Sonix Bliss includes a wide assortment of classic FM synth sounds and a mix of complex patches that’s guaranteed to spice up your Kronos and give you some new ideas for your next track. Everything from that 80’s DX style rhodes pianos to modern 21st century synths, with a cool mix of basses, leads, pads, drums, percussion and much more. All programs and combis include full KARMA functions and drum track as well as control assignments to the Kronos Joystick, Vector Stick, SW1 & SW2 and User Knobs 4-8. The result is the best FM sound with the best modern controls that will inspire you to create amazing new music. All thrill and no fill! 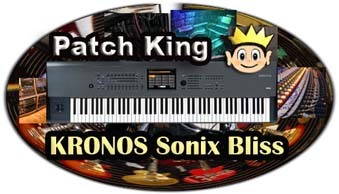 Kronos Sonix Bliss is perfect for your next studio recording or live gig. Or if you just want to jam along, the cool KARMA grooves included on all 64 Programs & 32 Combis will have you jamming for hours! 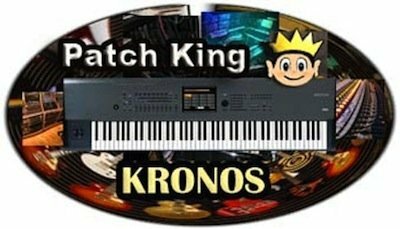 Note: Kronos Version 2.0.2 OS or later required. Download Kronos OS at korg.com/Kronos/support. Please let us know what version OS you have installed at the “comments” section of our order form when you place your order. We recommend always having the lastest software available installed in your Kronos. The latest Kronos OS is currently 2.0.2.